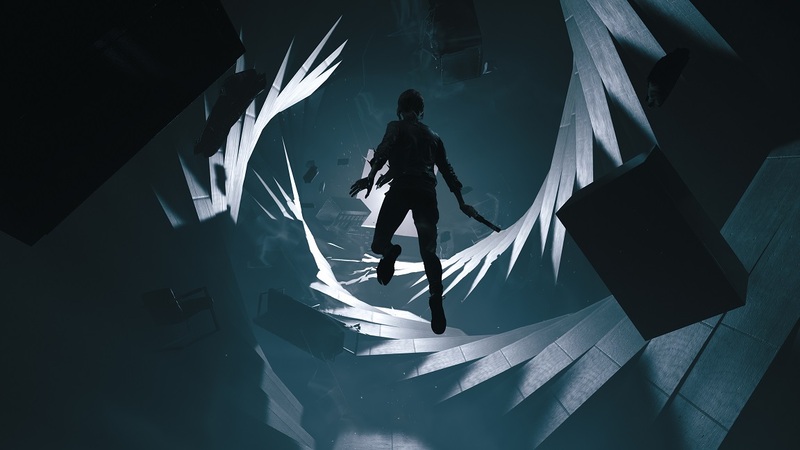 One of the biggest surprises to come out of the PlayStation E3 2018 Showcase was Remedy Games’ upcoming game Control. Set in a building known as the Oldest House, Control stars Jesse Faden as the new Director of the Federal Bureau of Control who has to deal with the Hiss as they possess and invade the FBC. 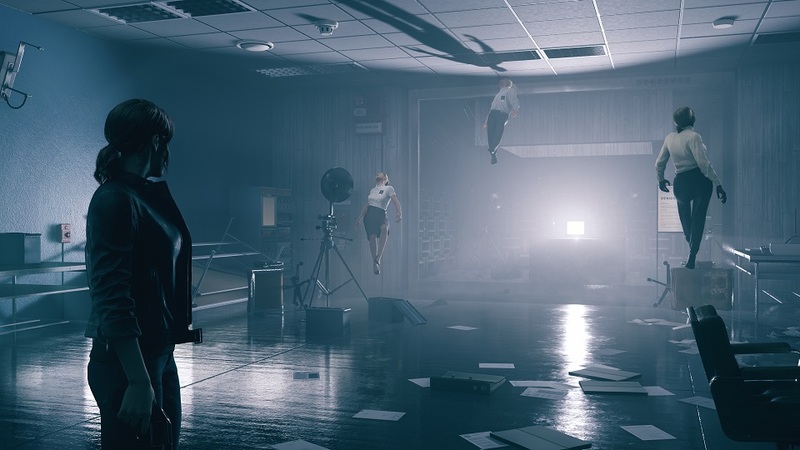 After viewing a playable game demo that was set midway through the game, I was able to sit down with Control‘s director, Mikael Kasurinen, and talk with him about what Control is as a game and the inspirations behind it, how Control is different from prior Remedy titles, and more. You can visit Remedy Games at their website, post on their official forums, like them on Facebook, tweet them on Twitter, follow them on Instagram and Vimeo, subscribe to them on YouTube, and view them on Linked in. You can pre-order Control now for PlayStation 4 and Xbox One. Mikael Kasurinen: My name is Mikael Kasurinen, and I am the game director for Control and working for Remedy Entertainment. OR: So what is Control? MK: First and foremost, it is the story of Jesse Faden becoming the director of the strange organization known as the Federal Bureau of Control. And basically, she doesn’t have an easy first day at work because there is this weird and extraordinarily strange force that has taken over the headquarters of this organization. And it’s also on lockdown- so nobody can leave, and it also means that this ‘force’ cannot spread into our world either. And what Jesse needs to do is fight back and regain ‘control’ of the Bureau. And that’s the basic premise. OR: What abilities does Jesse have in [Control]? MK: It is a supernatural-action adventure game, that you play from first person. And the basic foundation for Jesse’s abilities like telekinesis – like the ability to control things from afar. And she can use these ability in many creative ways – some of them being like shielding herself from bullets. You can actually bring up objects and construct this protective barrier from it. Or she can take things and throw them at enemies, or she can actually use those forces on herself to be able to levitate and fly. These are some of the examples on how she can apply this kind of force. And actually, when you look at the name of the game, Control, it’s kind of like a basic setup for everything in the game. Like, the ability to control the environment and herself. It’s there in a thematic sense as well, because the game is about losing control and taking it back. And so that’s the basic setup. And overall, when you look at different abilities – say, as part of this universe, not just necessarily part of Jesse, it is about control in the sense that you control the environment but you’re also controlling minds and what you see. OR: This game was described in the demo as a ‘sandbox’ game. How do you ensure that players will uncover the story in the correct order? MK: To open that up a bit- there are two different words we use. We use the word ‘open ended’, [and] what we mean by that is Metroidvania-type of approach. And the ‘sandbox’ part comes in with combat, in which we wanted to create this complex set of conditions and parameters that create an unexpected result. So let me start by breaking down the Metroidvania and open-ended aspect. So when we started to create this game, we wanted to do something different. We wanted to start from a place of – instead of just writing the story first, as we usually do, with the main character who has some kind of set up and goal and so on, we wanted to change that around. And so we start[ed] with the world itself. And that was the first thing we did. We created the idea of this place where the Federal Bureau of Control headquarters happens to be, and it was the kind of location with the history and the lore and so on. And once we had a good grasp of that, then we wanted to create a number of stories that we could tell within that location. And of course, there is the main campaign, which is all about Jesse’s journey as the Director and how she deals with the Hiss, which is the name that they gave this strange phenomenon that transforms the building. And so that’s the setup. There’s [the] main campaign, but there are other stories as well. So there are side missions, and you saw a hint of one with the man with the fridge, and [how] he’s afraid [to] look away because something horrific might happen. And that’s an opportunity for a side mission. And it doesn’t necessarily have anything to do with what your main goal may be at that time, but it’s kind of a cool thing to explore separately and come back later to. And we wanted to be a world of exploration as well. There are a lot of locations that we can’t access early on, but once you get certain abilities and equipment, it allows you to return to certain locations and uncover more secrets and more side missions to do. And so the main campaign is just one story that we’re telling. And once the main campaign is over – it has an ending- it doesn’t mean that the world itself ends. You can keep playing the game, keep doing side missions, and so on. We wanted this world to exist, and there are stories we tell within the world. So that’s the Metroidvania-type thinking. And we designed and built this world with a careful tone. Everything you see always works in a consistent way, exactly as you expect. You see a door you can’t open it – it might be locked, but later on you can open it. And the same thing applies to the materials you see. Everything is something to break apart. Everything is part of the realistic architecture of style – so it’s concrete, wood, steel, glass, and so on. And there’s this [simplicity] of form as well. So that’s the basis for the world. It has layers in it, and so on, and if you know how, you can uncover secrets in it. So that’s the structure of the world. Very different compared to what we’ve done before. And even though we have a different approach, it doesn’t mean that we’ve lost our ability to tell a story or having the characters evolve in interesting ways. And the ‘sandbox’ part is all about the feeling of gameplay. So what we wanted to do was to have, first of all, a [sense] of volition for the player. They can affect their character. You can upgrade her abilities, you can customize them, you can affect her form – one of her abilities is shapeshifting. And you can customize that as well. And then you have this complicated, dynamic, reactive, destructive environment that always works as you expect it to work. And it can be used as a weapon against the enemies or to protect yourself. And then we have the enemies themselves. And you have the most complicated enemies we’ve ever done. They can fly and they can use the environment against you as well. And everything you saw in the demo wasn’t scripted, it was actually part of their systematic behavior – it plays differently every single time. And when you bring these different elements together, there is this kind of unexpected element to it: like what the enemies do, how they might surprise you in different ways at certain times. It gives this nice kind of factor to the experience where it starts to feel like a ‘sandbox’, and things can go in unexpected ways. And what makes the game fun is that you first need to learn to master these different abilities, to understand what your gun is, to customize your character to compliment what your gameplay style is. And then when you’ve mastered these elements, you can then predict the future event. Like, ‘when I do this, this will happen.’ And then we can bring in the unexpected elements, which allows you to improvise – ‘Oh, I’ll use this here and that there, and so on.’ And that creates more like a ‘sandbox’ experience. 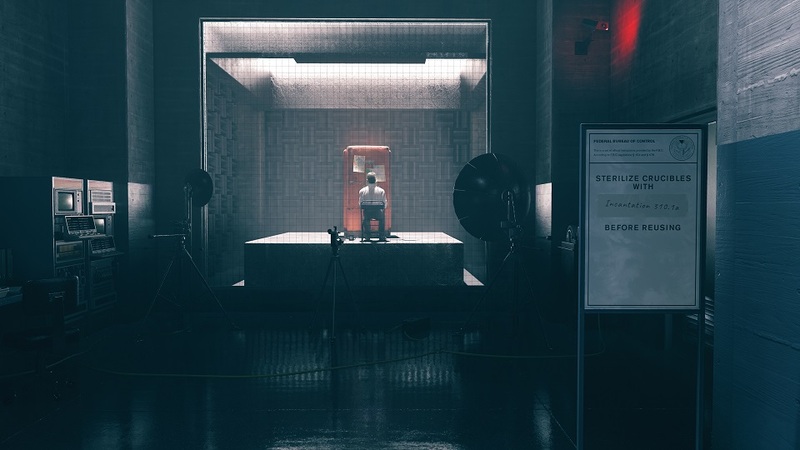 OR: In the [Control] demo, there were elements like how you pull a [chain] four times to change things. How do you balance and know where to draw a line between something that is strange to serve the plot, and strange for the sake of being strange? MK: So there is logic behind everything we do. So sometimes it might seem murky or it maybe is strange for the sake of being strange, but there’s a logic to everything. But, what I do need to talk about a bit to answer the question is that I read a book called Annihilation, which represents a literary genre called ‘new weird’. Which is all about phenomena that are beyond human comprehension. Like, they are unexplainable – and they really mean it. There are elements in the universe or in our reality – or in other realities as well- that might be impossible for a human to comprehend. And that’s a core theme for [Control], that’s what the Bureau is trying to use. It’s trying to find, secure, and research this power and contain them. And then they try all kinds of things, and they test but they don’t really, truly, understand how they work. Maybe there’s a point [at which] they think they do, but something else pops up. And everything changes and there are contradictions, and nothing is clear. And that’s the atmosphere that we want to have. There’s careful thought put into all of the phenomena that you encounter, the rituals – part of the rituals is that there is a real effect to things like when you intend to pass power, and these type of things. For instance, when you look at the environment, there is this idea that we have for the Oldest House [OR Note: The Oldest House is the name of the building where the Federal Bureau of Control is headquartered.] that it does not tolerate things that are not part of the collective unconscious. What we mean by that is that, for instance, it wasn’t too long ago when you would show an iPhone to somebody, they wouldn’t know what that is. And now it’s part of this universally understood and accepted. And the Oldest House can react in a strange, negative way, if somebody would bring an object in that is not part of the collective unconscious. And so the logic’s at that level. It’s not [a] mechanic, but you can feel it. You can understand what we mean with these rules. While the Oldest House appears to just be your standard government building, it is anything but. (Image courtesy of 505 Games). OR: What other influences were there for [Control]? Because this reminded me a bit of House of Leaves and the Five-and-a-Half Minute Hallway. Was that [book] a specific influence, or what else was? MK: It’s not like one big idea – it’s usually a collection of series of smaller ideas. I absolutely love House of Leaves, a book by Mark [Z.] Danielewski, and of course, Annihilation by Jeff Vandermeer is a huge inspiration as well. There’s an even older book called Roadside Picnic [OR Note: This book was written by Arkady and Boris Strugatsky.] that came out in the [seventies] that dealt with new weird or things that are unexplained. Stalker [OR Note: This movie is a loose adaptation of the book, written by the Strugatsky brothers. ], of course. The movie and the book deal with this as well. So all of these, together, form a kind of basis [for Control]. When you look at the powers that Jesse has, to me, the older movies from the eighties and nineties were a huge inspiration. When you look at Carrie or The Exorcist, for instance, or Poltergeist – all of these movies which I personally absolutely love, they all have a way of treating supernatural powers in a way that is compelling, grounded, and unsettling – as they should be. When you look at modern day superheroes, there’s almost like this quickness about the powers and we want to treat them in a more serious, more grounded and realistic way. And that’s part of the inspiration. There are many side missions in Control, for which they don’t all tie into the main storyline and aren’t required to be completed to finish Control’s main storyline. (Image courtesy of 505 Games). 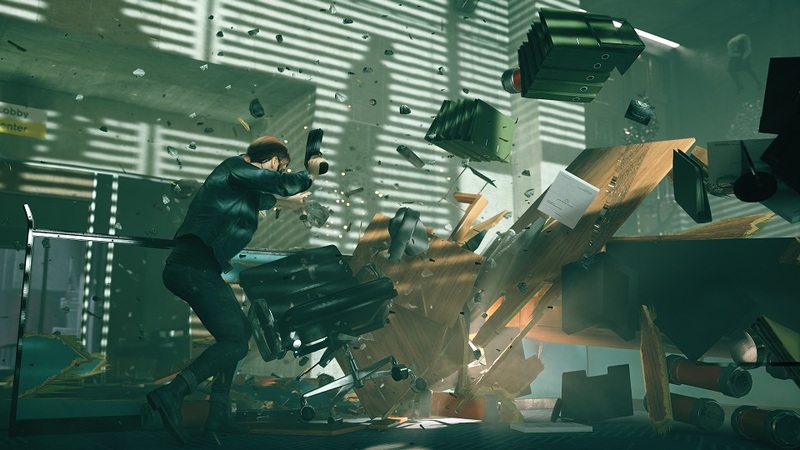 OR: Two of Remedy’s biggest hits – Alan Wake and Quantum Break were Xbox/PC exclusives. 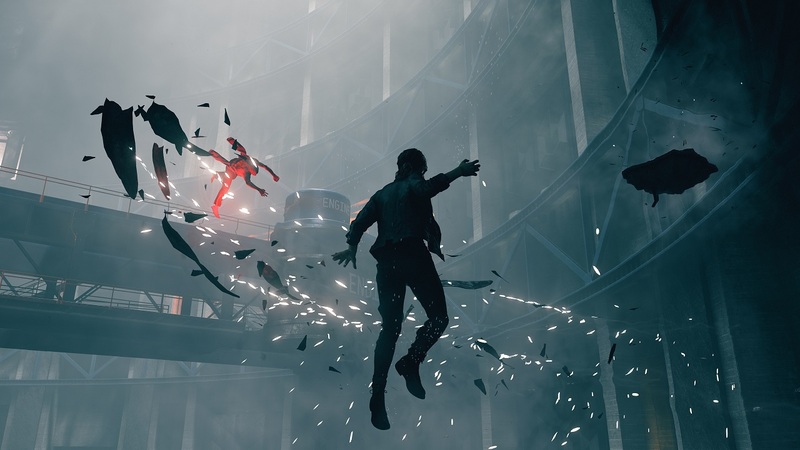 Why did Remedy decide to make Control multiplatform? MK: We are an independent studio at the end of the day. We’re not owned by any of the big gaming houses. And we worked before on multiplatform [games] with Max Payne on PlayStation as well. So actually, working with Microsoft was just a phase. I think for our studio, we liked working with Microsoft- and with Microsoft come these things: you can only release it for Microsoft and PC or Windows, and so on. And it was great working with Microsoft, and we worked together – Quantum Break is their IP and Alan Wake is ours, of course. And it was great. But we felt like ‘Hey, it would be cool too to do something else now and instead go multiplatform and expand our audience again [and] return to PlayStation.’ And so it just made sense. OR: Alan Wake, Quantum Break, and Max Payne were all fairly linear titles. And y’all have succeeded at telling a story [this way] – why change it up? MK: I think it’s part of defining success. I think we always want to change things up in every game we do [and] have different approaches. In a way, I think it’s just a new phase for us. And exploring different ways of doing things and learning. And with Control, it was – the goal was to make something fun, but we wanted to create this interesting world that is complicated and nuanced and so on. I guess there’s kind of a gaming ambition there as well. It’s fun to do different things, you don’t want to just repeat the same thing over and over again. When you look at the games we’ve done, the first big hit was Max Payne, which was a film noir game with a cop. And then we do a game with Alan Wake, who is a writer and what is actually a psychological thriller. 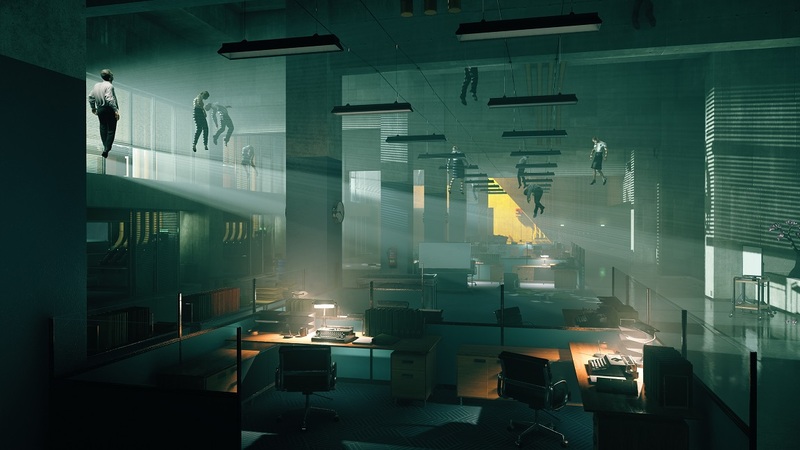 And then we do Quantum Break, which is about time travel. We kind of do quite different things every time, and I don’t believe that in Control there is anything that will necessarily feel like it’s a massive change in direction or storytelling or what kind of experience we will create – it still has that careful attention to detail that we always have had. And when you look at games that we’ve [previously] done, we just change the way people access it, really. The Hiss have appeared in the Oldest House, and it is up to Jesse to solve the invasion and fight the Hiss as necessary along the way. (Images courtesy of 505 Games). OR: What’s been the hardest part about directing Control? MK: I think we’re used to creating that single player, this linear experience for this last six to eight years, and we’ve perfected it and designed everything carefully. And now, we’re doing a more kind of open-ended game. And I think that’s been the biggest thing that people need to rethink how they look at that and how to create that experience with this new kind of setup. So that’s been an interesting and fun learning opportunity – learn to build words in this way. So we have side missions that don’t really connect to the main story and that require a different kind of thinking. OR: What is your vision for the game? What are you trying to communicate to the player who picks up Control at the end of the day? MK: The vision is to have this interesting, almost impenetrable, world that is a mystery that you want to return to over and over again, trying to understand it. Having elements that challenge you, both from a gameplay perspective as well. There are parts of the game that are not tricky at all [and] parts that are really hard to pull off. And some enemies are super tough. But also from the perspective from how we tell the story – we don’t want to spoon feed everything to the player. We want the player to participate. And sometimes you encounter something you don’t fully understand. But for you to really dive deeper into it, you need to go the extra mile, you need to put in the extra effort and investigate it and find out. And having a world full of mystery makes people engaged and wanting to understand that. That’s my vision, that’s what I want [people] to have. OR: Well this game be optimized for Xbox One X and PlayStation 4 Pro? MK: A bit to early to talk about that. OR: So you managed to debut Control on one of the biggest stages in the world at the Sony Press Conference at E3 2018. How in the world did you make that happen and how did it feel? MK: Well, it was amazing and really humbling as well to be on stage with great games that were mind blowing. So it was mind blowing and surreal. How we [came to have] a part of that- I think things clicked into place with a talk with Sony quite early on. What we did – the spirit of it and how to handle it, [Sony] seemed to like it and so they felt like our game works within the context of what they were trying to do with the media [briefing]. And things were put into place to show our ideas, and there was back-and-forth, and it worked surprisingly well. And yes, again, it was amazing to see it happen while in the audience. It’s beautiful. 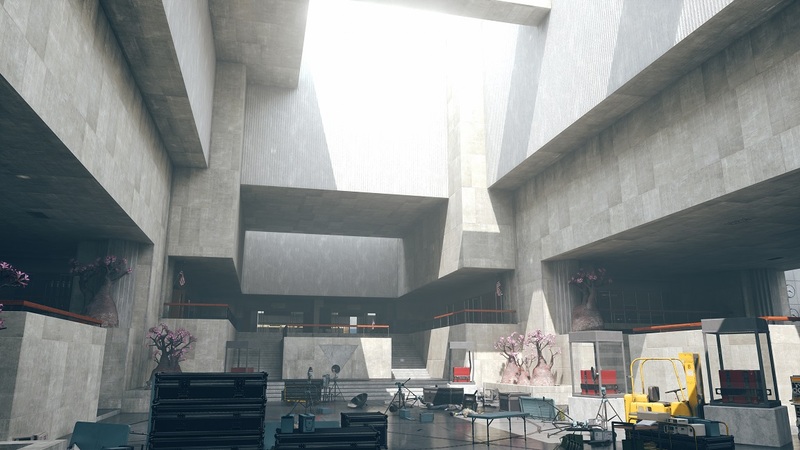 OR: Is there any chance we’ll get a demo before [Control] releases and when is the release date? MK: Release date is 2019, so that is something we will give more details about later on towards the end of the year, maybe next year. As for [the demo], it’s a bit too early to go into that yet. OR: Final question- someone who may have seen it at the Sony [Media Briefing] and think ‘this is pretty cool’ – what do you have to say to them to want to pick up the game? MK: I guess the only thing that I can really say is that what we’re doing is very different compared to everybody else out there. We’re creating something that is unexpected, strange, beautiful, exciting, and I think we have some kind of creative independence that not many big studios can have. We’re doing something different, and I think whoever grabs Control and tries it out will feel it [and] will see it. I think it will be something exceptional. Are you a fan of new weird-genre novels? What did you think of Control’s E3 2018 reveal?